ONEK is the responsible agency for the operation of the European Network “Eurodesk” in Cyprus. Its main purpose is to provide information on European policies and opportunities that interest young people or youth workers. Eurodesk is funded by the European Commission through the European Program “Erasmus+” and it is currently operating in 35 European countries. Eurodesk provides free information to young people on a variety of opportunities across Europe, such as mobility, volunteering, exchanges, work, internships, non-formal learning and much more. So, whatever your question might be, start with us! Send your queries to eurodeskcy@eurodesk.eu or contact us through the European Youth Portal, call us on 22402613 or visit our offices at 104 Athalassas Avenue (3rd floor), 2024 Nicosia. You will receive an answer to your question within 3 working days. 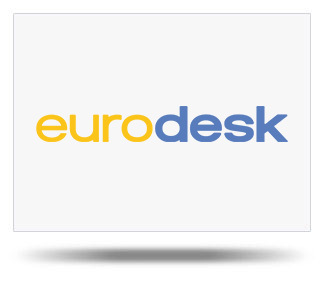 You can also find us at social media Facebook, Twitter, and Instagram, as Eurodesk Cyprus. Information on European programs and policies are also provided at the Youth Information Centers in Larnaca, Limassol, Agros, Paphos and Sotira, on 77772757.